Texting on phones has come a long way, thanks to the QWERTY style keyboards that give the feel of a full-sized keyboard. However, smartphone keyboard are subpar when compared to the real deal, since you have no additional features like cut, copy, and paste to make Android keyboard better. However, just like most features that are available for computers, all you need is an app to add more functionality to your keyboard. With the Inputting Plus app developed by Catching Now, you can have the features like undo, redo, and much more right at your fingertips. To get started with making your Android keyboard a whole lot better, get the Inputting Plus app from the Google Play Store. The app is available for free, so simply look it up or use the link given below to download it right away. The first time you open the app, it will be greeted with a tutorial and will ask you to enable Inputting+ from the Settings app. Tap on the Settings button and you will be redirected to the Accessibility menu, where you need to enable the “Inputting+” tab. After enabling the toggle switch and confirming your action, head back to the Inputting Plus app. Once you are back in the app, head over to the Settings of the app and toggle “Enable Inputting Timeline”. This option enables the app to keep a log of all the text you have entered, which is useful if you end up deleting something by mistake and need it all back. 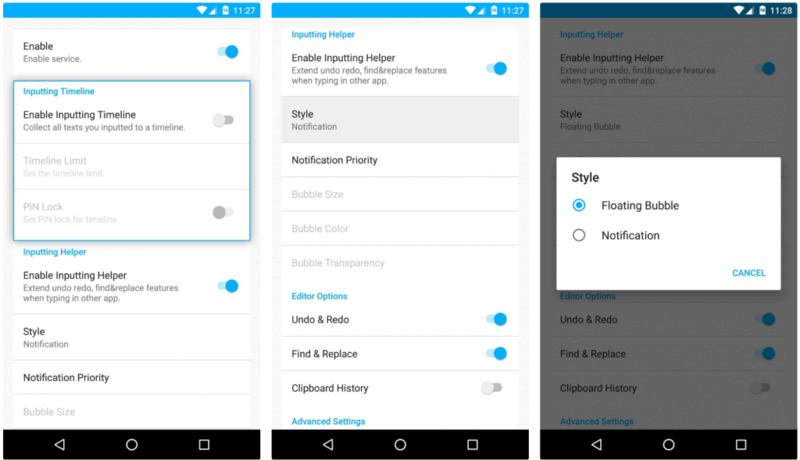 Another option we suggest you should enable the Floating Bubble option from the Style menu, as it will give you a better experience of using the Inputting Plus tool. With everything set up, you will be able to see the Inputting Plus floating button every time you select a text field. You can drag the floating bubble and place it anywhere near the keyboard where you find it convenient. Every time you tap on the floating button, you will be able to use the pop-up text editor that allows you to undo and redo at a single click. Moreover, you can also use the Ctrl + Z and Ctrl + Y functionality just as you would on your computer. 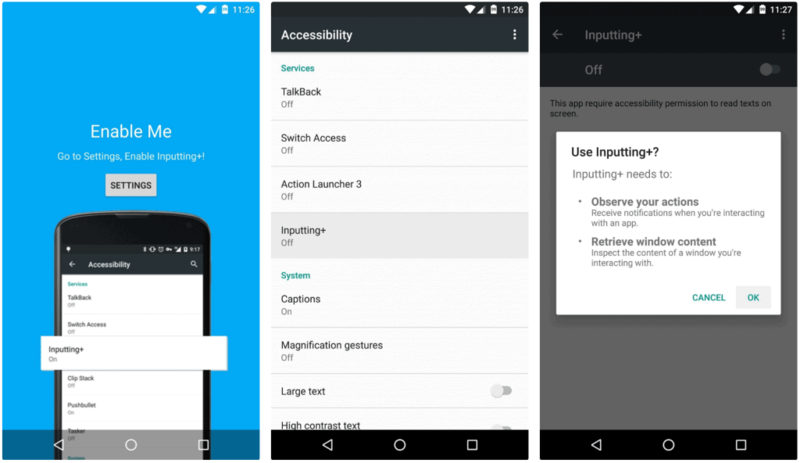 Have you successfully learned how to make Android keyboard better with the help of Inputting Plus? Do let us know your thoughts on this guide in the comments section down below.